I can’t say it out loud without sighing wistfully. This one will be hard to top. 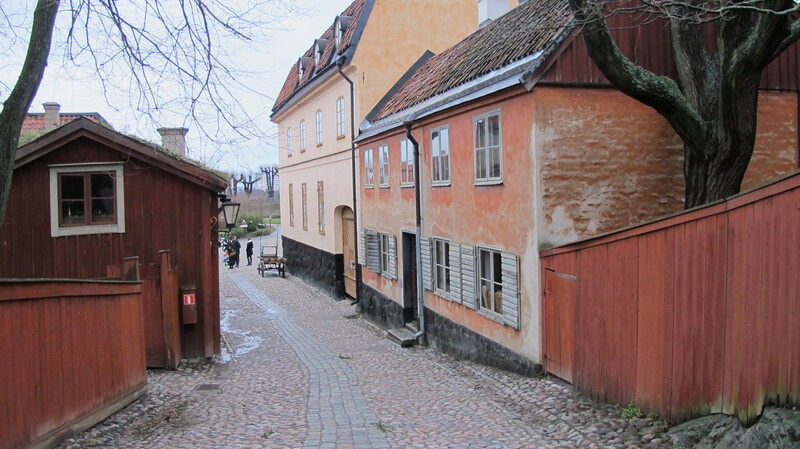 Skansen is Sweden’s first open-air museum and was founded in 1891 to showcase life before the industrial era. Artur Hazelius got the idea after seeing Norway’s Norsk Folkmuseum, and traveled all over the country. He ended up buying 150 houses that best represented traditional Sweden (1 home is from Norway, 3 are replicas), and shipped them over to the 75 acre park. The buildings vary from the Skogaholm Manor house built in 1680, to 16th century Älvros farmhouses. 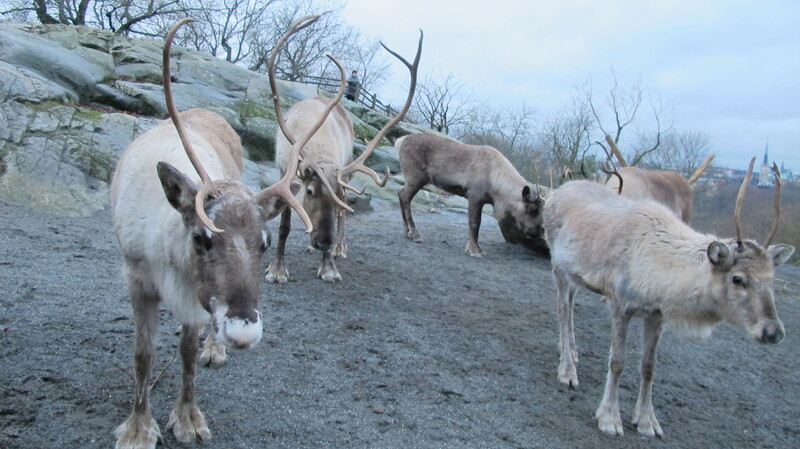 A zoo contains Scandinavian animals (moose, lynx, wolverine, reindeer), and a farmstead hosts rare breeds of farm animals. 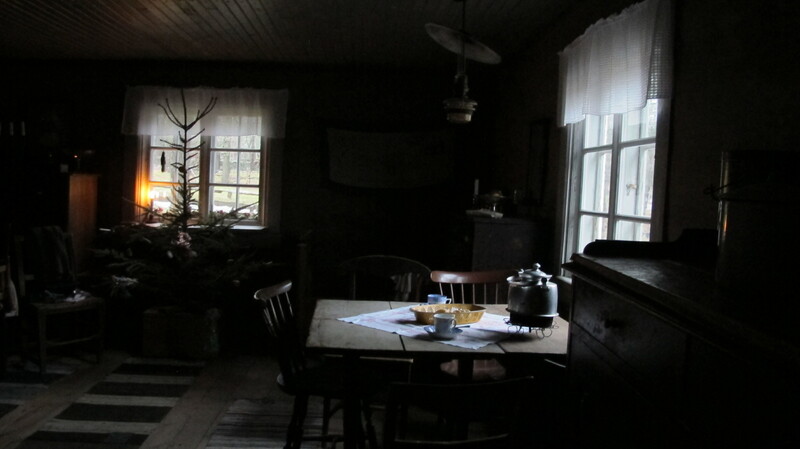 I highly suggest searching for photos of Skansen (and Sweden!) IN THE SUMMER.Going in the winter was perfectly fine (probably makes you heartier) but the beauty of the area will be better appreciated during Sweden’s “never ending summer”. I was too excited to realize that I had a camera, so my photos are very limited and do no justice to the efforts put into compiling this destination. My travel partner and I didn’t know what to expect when we arrived, having just landed in Sweden the day before and not understanding the limited daylight of Scandinavian winter. Walking right into a full replica of a 19th century town quickly threw jetlag to the wind and jump started our grins; we lost track of time, most of it spent happily not believing where we were. Pockets of eras and styles flowed beautifully into each other and access to the buildings was plentiful. Docents, many of them skilled in the presented craft, donned traditional dress and demonstrated the trade of their building’s roll. 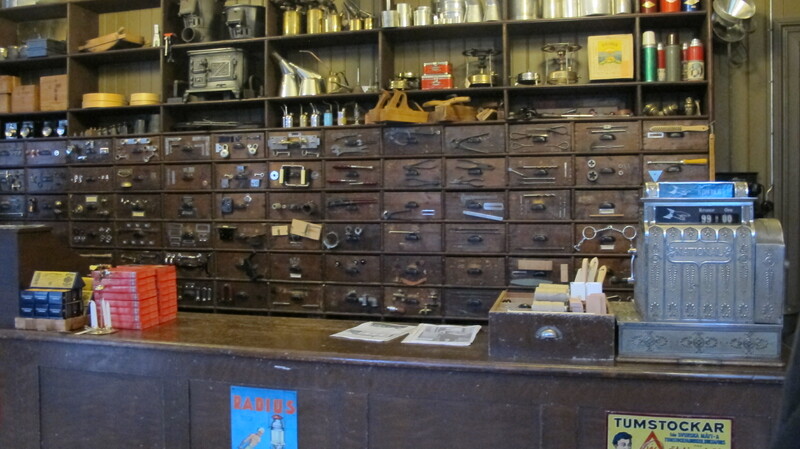 Blacksmiths, glass blowers, and bakers gave us a good show in their period surroundings, while other storefronts (hardware, postal office, apothecary) were set up with antique items to look at. Several buildings were dark, cozy homes with low ceilings, heated by wood burning stoves and a chilly looking docent weaving or fiddling with a home craft. Not knowing that a wood burning stove would be hot to the touch (I’m an unthinking modern girl), I set down an unnatural fiber glove on it that melted and sent me scurrying outside with embarrassment. Pine boughs were placed on the ground outside before a home’s entrance seeming like forgotten landscaping clippings, but revealed their purpose as a sort of welcome mat, so that when you crossed over and stepped on them they would release their piney scent while taking some of the dirt off your boots. An inviting touch that I decided to try at my own upstate NY home in the winter. Christmas decorations still covered a lot of the area, and the Bollnäs central square had a Christmas market that goes back to 1903. 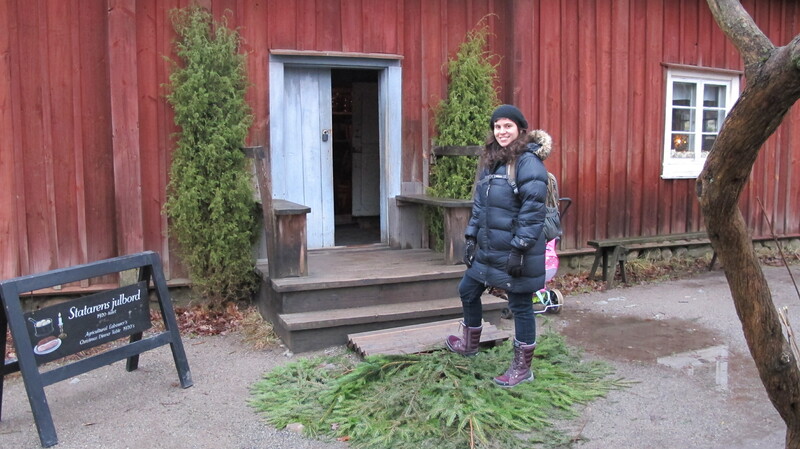 I think getting a taste of traditional Sweden with Christmas decorations was a charming take on another culture’s perspective during the holidays, as well as remembering some customs that were brought over to the United States by immigrants that are still practiced today (St. Lucia and the Midwest). A small cafe inside a home was a great place to stop for fika (coffee break), and some of those mouth watering buns Sweden is all about. The window overlooked a little street and we truly felt a world away; the immersion draws you in so deep that you forget it’s all pretend. This is the spot that sparked the epiphany of what has now become an obsession. I never knew what to call collections of historic buildings but valued placed great importance on their preservation. Classmates would sulk at historic based field trips while I vibrated with excitement, never once understanding why my peers balked at my insistence on quiet moments drinking in every detail of an old home lacking modern conveniences. Vastveit Storehouse, the museum’s only Norwegian building, is on the right. 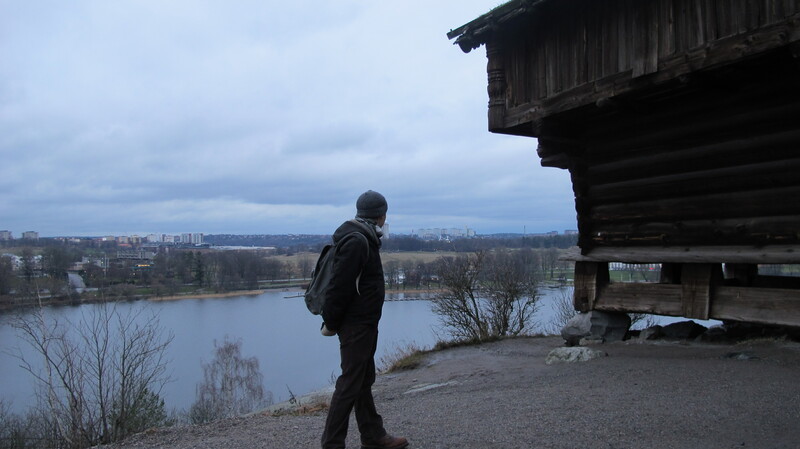 From this overlook, you could see the Abba Museum! If you visit I hope you get lost. It’s better that way! The sheer amount of buildings and area covered felt like there was more to see, and I felt so sad when we had to go. I certainly did not have the chance to see and appreciate everything, and will have to return! 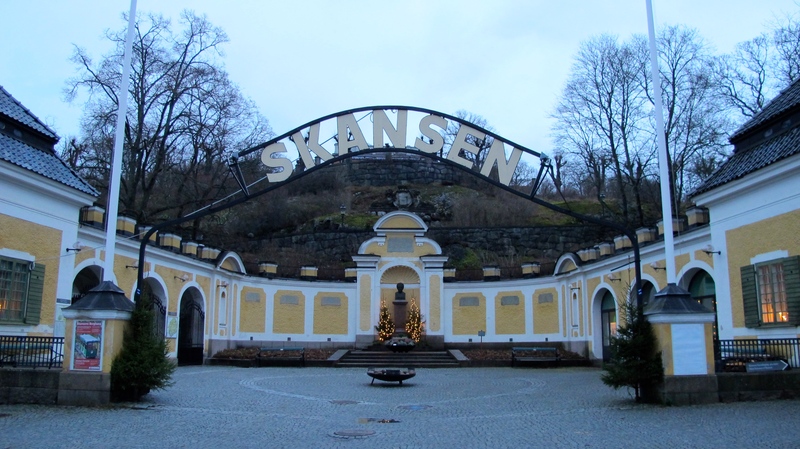 Fun Fact: The term “Skansen”, meaning “sconce, is also used for describing open-air museums and their relatives. 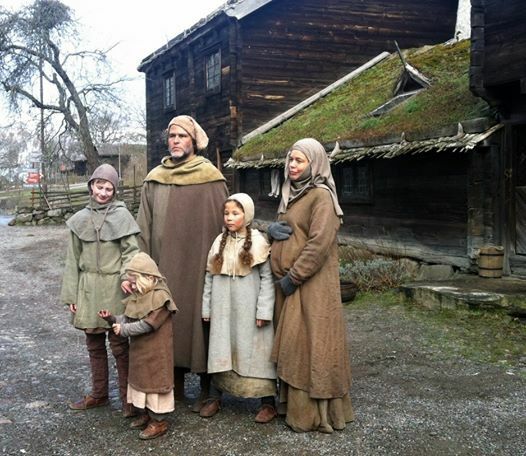 Edit 4/14/15: Skansen’s Facebook page uploaded this image of 14th century dress in front of the farmhouses. Hope those shirts are warm! Nu är det jul igen! 😀 Nä, skojar bara – men årets julkalender har redan börjat spelas in! Gillar ni Historieätarna? 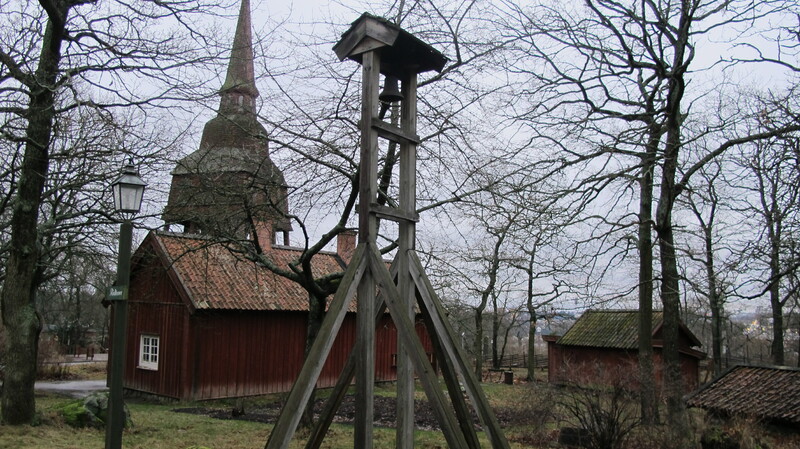 Här är dom i pestens tid, på 1300-talet!